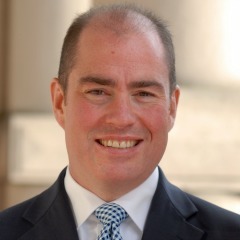 Funeral Marketing & Strategy Consultant, Robin Heppell knows funeral home owners and managers have a choice in which seminars and events to attend. With attendees investing hundreds of hours and thousands of dollars every year in professional development, the Funeral Marketing Blueprint program has been developed to give attendees a complete road map for their marketing initiatives. Also, the Funeral Boardroom Mastermind is perfect for funeral homes that want to fine tune their operations to not only increase market share but also to increase aver funeral values. The first 2 days will showcase the Funeral Marketing Blueprint that will walk attendees through the process of creating their own Funeral Marketing Plan and also provide them with proven ways to increase the effectiveness of your advertising. 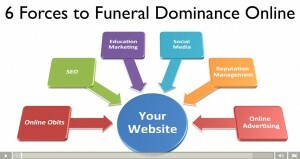 This is a complete marketing plan for Funeral Homes with both offline and online channels including Print, Radio, Websites, SEO, Pay Per Click, Online Obits, Videos, Social Media, Online Reviews and Reputation Management. For only 10 funeral professionals, the last 2 days is the Funeral Boardroom Mastermind is where this small, intimate group will roll up their sleeves and dive into 5 areas of strategic marketing for their funeral home. They will identify the most important ways to improve their business and more importantly how to get these strategies implemented into their business as fast as possible. Heppell added, “Attendees will love the Rock Star format, especially being at the perfect venue, at the Union Club of B.C. that is located in the heart of Downtown Victoria. Besides having complimentary hot breakfast, lunch and snacks, each day will end with Hepp’s Hot Seat Happy Hour where drinks will be served during an uncensored, anything goes, Question and Answer period. This is a “can’t miss” event for those who prescribe to the “work hard – play hard” mindset. 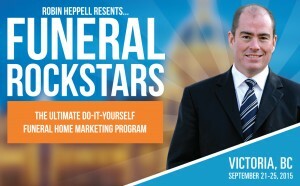 The Funeral Rock Stars event reveals insider secrets and proven techniques to making a funeral home’s marketing plan more effective and easier to follow. Robin Heppell, CFSP of FuneralFuturist.com is recognized in the Funeral Profession as a marketing strategist and thought leader for positioning funeral homes to embrace the future and has spoken in front of thousands of funeral professionals on topics of Marketing, Strategy, Competition, Websites, Social Media, SEO (Search Engine Optimization) and Google AdWords. For complete details of both the Funeral Marketing Blueprint and the Funeral Boardroom Mastermind, go to http://www.FuneralRockStars.com.